Unwavering belief, advocacy, and a willingness to take a risk on behalf of another human being changes stories. WayPoint Youth Foundation is officially a non-profit organization! (Not sure how to use emojis in WP, but picture big smiles and a celebration!) This has been a dream in the making ever since I attended an Independent Living conference for youth aging out of foster care several years ago. One particular teenage boy changed the direction of my life story that day as he stood before me, shaking from head to toe, asking me to help change his life story. There is nothing quite so profoundly life altering as looking into the face of a desperate teen and knowing you have NO IDEA how to help. He had a dream he asked me to help him fulfill that day, and that was the day I started down this crazy life altering path to figure out how I can help and what will actually make a difference in the lives of youth and young adults from hard places. Why are we (my team and I) convinced the Academic Life Coaching program will make a difference when so many other programs or approaches have failed to change outcomes? Youth have opportunity to take ownership of what has possibly never before been within their control growing up in the system; their own lives and future. The door is open for the story they tell themselves about themselves to change in amazingly positive and empowering ways. 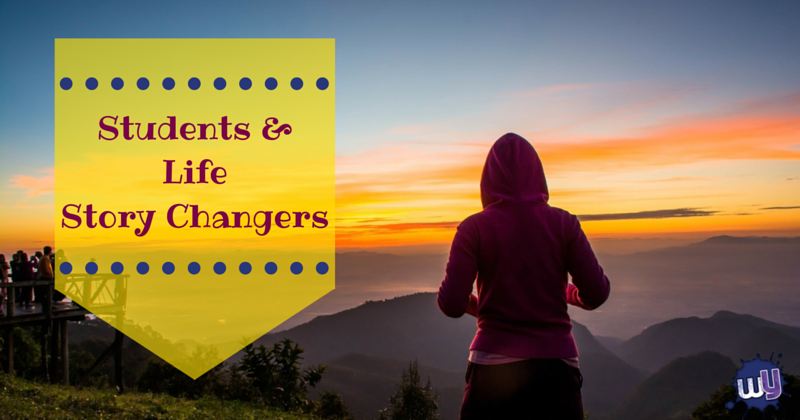 Ways that will help them gain the confidence and motivation they need to follow through to get where they want to go, and create the life they want to live. We are firm believers in the truth that the past does not determine the future. YOU determine your future and you have AMAZING potential. We are here to help you get where you really want to go. You are ready to advocate vigorously and unwaveringly on behalf of youth and young adults from hard places, foster teens, emancipated youth and orphans. You unwaveringly believe in the value and potential of those from hard places. You KNOW their past does not need to determine their future. You are willing to take risks of time, talent, and finances to make a difference in a life. Want to join our network of students and story changers? We would love to have you and can’t wait to meet you! Brenda and her husband Mark are the Co Founders of WayPoint Youth Foundation. Brenda is also an ICF certified Academic Life Coach and trains youth advocates in the Academic Life Coaching 1.0 coach training program though her business WayPoint Life Coaching. Brenda is an adoptive mom, youth advocate, and a licensed therapeutic foster parent.